I am so pleased that it is the last day of term today. The children finish at 12, so if the weather remains dry we will be heading for the beach with some of the other mums and children. Yippee! Why are the last few weeks of term so frantic? It seems crazy. Any way, I was asked to make (and got paid) the teacher presents for my daughters class this year. Her class teacher went off on long term sick in February and we had two supply teachers sharing the job for the rest of the year. Along with the three teacher there is a teaching assistant as well. So all in all 4 presents to make. I made aprons for all of them with a cute pocket. The pocket detail represents the children’s uniform. It is not perfect, but still I think they are a nice keepsake. So here’s to the long summer holidays, I hope you all have fine weather and good times. Well, we had a lovely holiday in the sun. It was good to be back in Dubai, the weather was stunning, the hotel was gorgeous and we ate like kings. I managed to catch up with lots of old friends which was wonderful, so all in all a perfect week away. 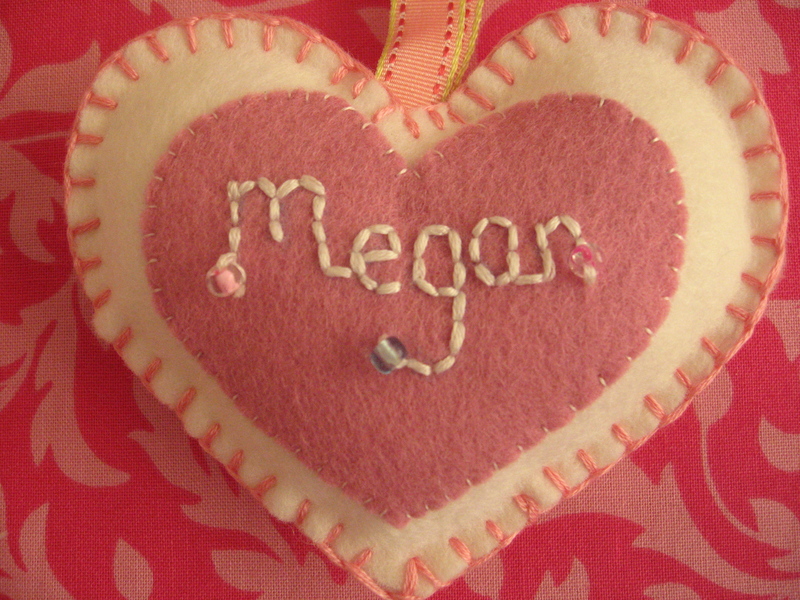 I made these two felt hearts for the daughters of one of my good friends in Dubai. They are 5 and 3 and are such sweet little girls. My two children had a ball playing with them, and are already asking when we can see them again! I wish I could say it could be today, but alas back to normality and school for us today. Apron in an hour ….. I downloaded Jona’s quick pattern yesterday and it really is super quick. I love the fabric combinations on this, and I hope my friend does to. It’s her birthday next week and we are going out to celebrate tonight, she loves to cook, so I hope she likes this. So all those bits have a pretty home! Infact my daughter has a friends birthday party to attend on Saturday so I have decided to make a similar one for her. I will show you when I get round to making it! Where does time fly to – because I need to get some back! I love the build up to Christmas but I am never organised enough. I write lists, then re write them, and all of this to-ing and fro-ing makes me feel better but in the end I just need to get on with it. I have a busy weekend coming up, my parents are traveling to The Netherlands from the Uk so we will all be super busy, especially because Saturday is completely ties up with children’s activities. We have rugby in the morning and a ballet performance in the afternoon. My daughter is so excited about the ballet especially because her teacher is also performing with them and she is wearing pointes! Every little girls dream, hey? I just about completed all the Christmas gift shopping yesterday. (Just 2 left) My husband took the day off and we headed off in to our local town. It is so different shopping in The Netherlands near Christmas as the shops are amazingly quiet and calm. It was so good to have my bag carrying husband with me because there is no way I could have carried all those bags by myself, because even his hands hurt and he never complains. 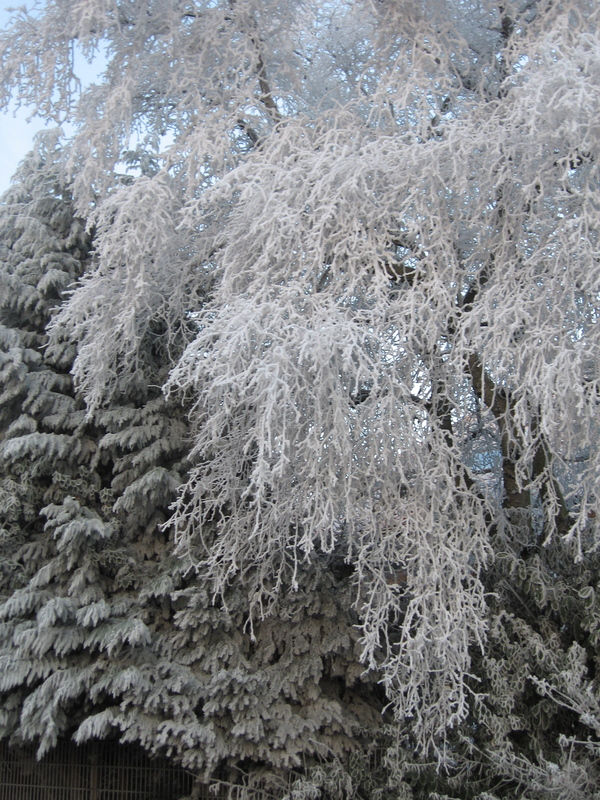 Finally I wanted to show this picture taken in December last year when we had a heavy frost. The weather here is cold now and I love looking at these pictures, they make me feel festive. I have added a list in my sidebar of some of the free tutorials out there, I have already made a few of them, and I will endeavour to make a few more once this crazy busy time of year is over. 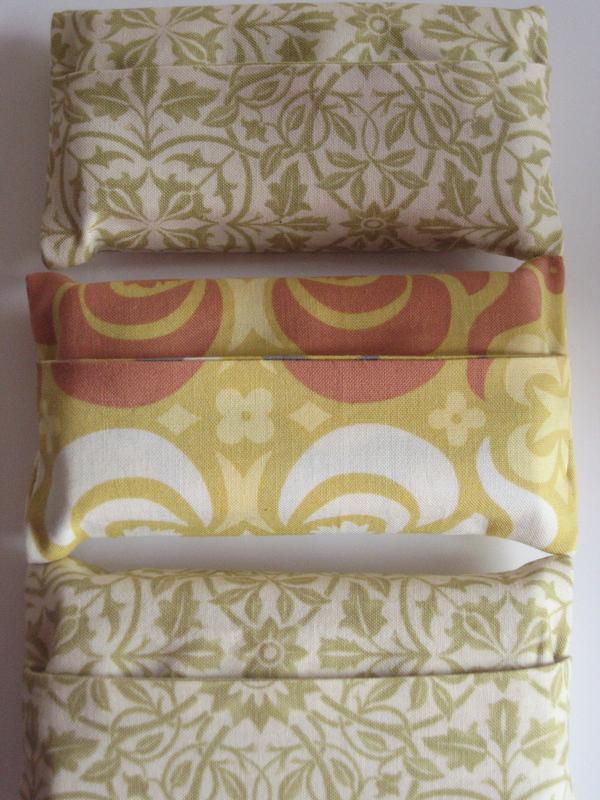 I have been busy with things other than crafting the past few days, but I have made these super pocket tissue covers. 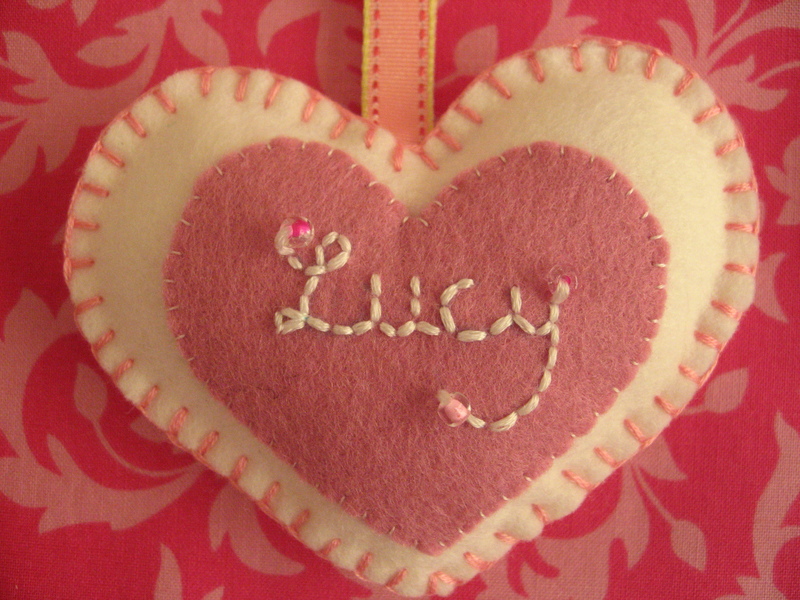 I will be making a few more in some Cath Kidston material for my bag and perhaps for a fellow CK fan who lives nearby, for Christmas. They were super easy as you might expect. The pattern I used was from Skip to My Lou, and I overlapped the material at the opening because I felt that it gave a neater finish. I have also been trying to find things to do in the evenings whilst watching tv ……. enter the crochet hook again. After a number of evenings having a go at granny squares and not understanding the instructions on the net at all, I came across this pattern and instantly, ok after watching Eastenders, produced a perfect square. Yay! (Pictures to come when there is some decent daylight!) I have since made a flower from the tutorial on Attic 24, who incidentally has a wonderful giveaway – Check it out. I quite like making combinations of the same thing, it makes life easy, so I have made another of these sets to give as a gift to my daughter’s friend. 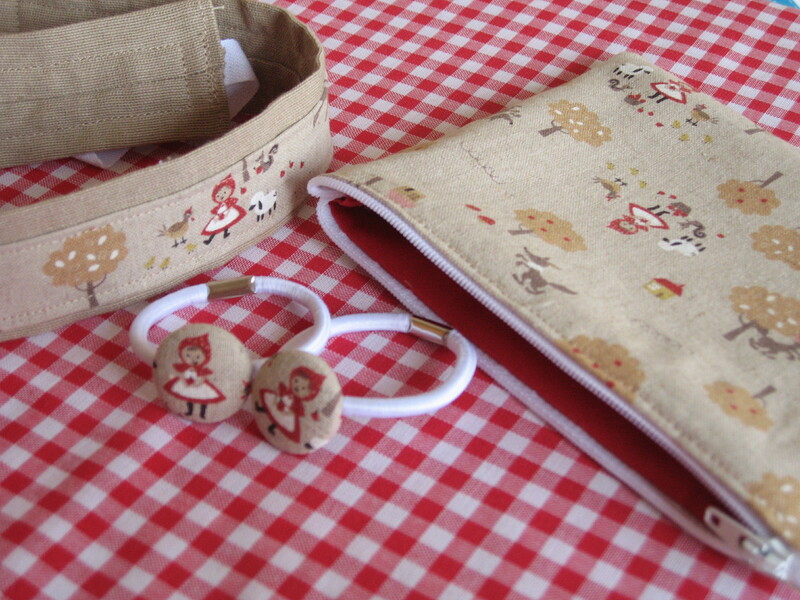 This time instead of using the Heather Bailey headband pattern I used the BTRS Heidi Hairband pattern. It turned out really pretty, and it will be interesting to see if a 5 year old can keep it in their hair. I will probably whip one up for my daughter to test out the staying in power! My friends daughter who I made the other one for, wears her hairband like a head sweatband ala Pat Cash, it makes me laugh every time I see her wearing it. I love it when children express themselves through what they wear, it can make for some great outfits. The last few days have been really cold, it certainly feels that autumn is over and winter has arrived. At the rugby pitch on Saturday, some of the younger ones were crying because there hands were too cold, some of them are only 4 and they just couldn’t cope with the cold weather for an hour. I hope it’s warmer next week. 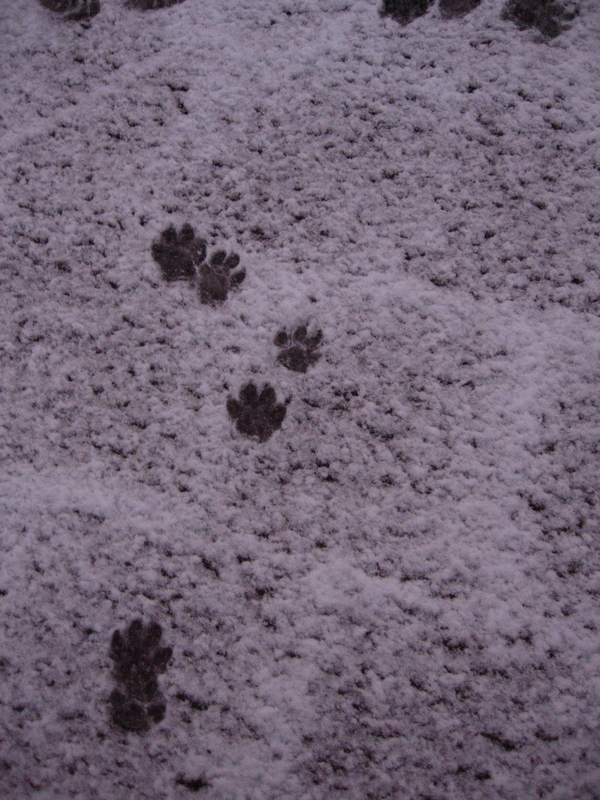 Sunday saw an afternoon filled with snow. 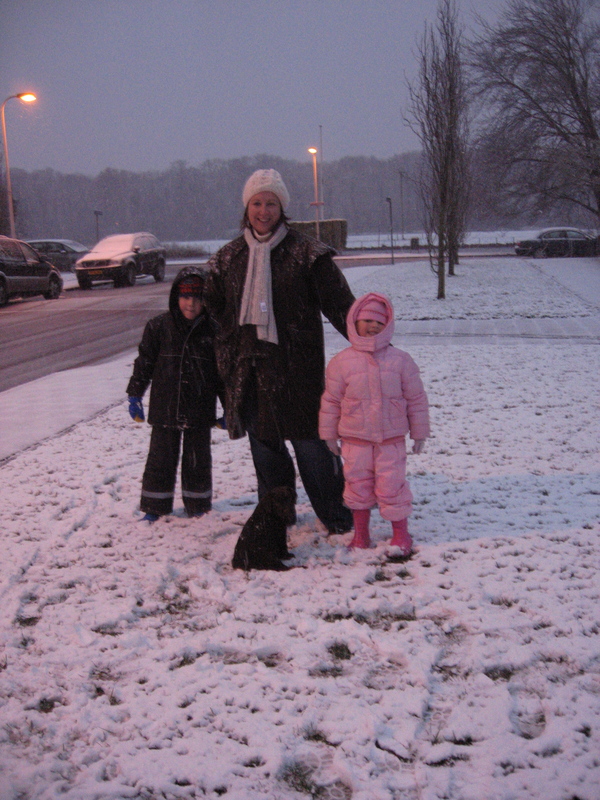 At around 4.30pm it was still snowing but i wanted to get the children out in it – as it never usually stays for long. We had a great time throwing snowballs at my husband, even Archie the puppy loved frolicking in it. I have been busy over the past few days trying to catch up with gift making, tidying the sewing room (again) and making the Christmas cake. I forgot to take a picture of the cake before wrapping it up for its few weeks maturing time, but when I decorate it I will show you. My Christmas cake decoration isn’t up to much because my husband likes royal icing and I can never get that smooth, so it is always a snowy mountain scene! I used Nigella Lawson’s cake recipe, which is a first for me, so I hope it is good, if i feed it enough brandy there shouldn’t be a problem though, or at least no-one will care. 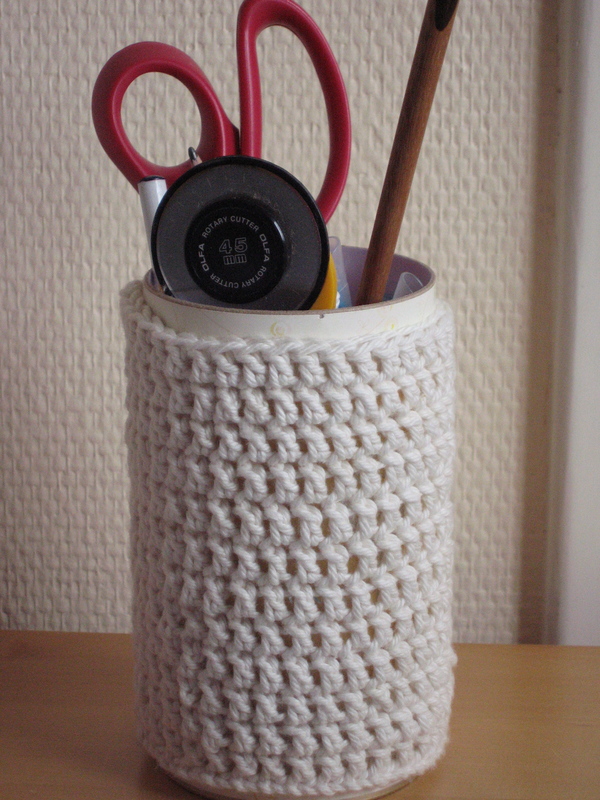 To fill my time in the evening so that i am downstairs to be near the puppy and not hidden away in the sewing room, I have been teaching myself to crochet. So far I have had a go at making a cover for a biscuit tin that holds my scissors and a few other essentials near my sewing machine. I didn’t finish it off as Lucy suggested because I only noticed that I did it wrong last night, but it still looks cute. I just need to graduate on to granny squares next, because in the new year i would love to make a throw like this.